The classic Rejects first album re-issued. The classic Rejects second album re-issued!! Runnin down the backstreets Oi Oi Oi!!! 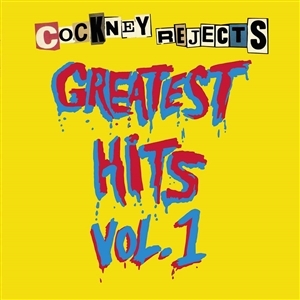 In the summer of '99 the Geggus brothers got together and re-recorded some of the old songs; the result is Greatest Hits Volume 4, 16 of the Cockney Rejects finest moments re-recorded up to 20 years later! Originally released in 1980 this was their 3rd studioalbum, and an absolute Oi! killer. Includes some rare live bonuts cuts. 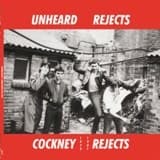 Unheard rejects 1979-1981" is a collection of demo tracks recorded between 1979 and 1981 by the mighty Cockney Rejects. 12 songs from the first era, their first steps inside the 77 punk movement that them and others bands like UK Subs or Sham 69 helped to build. Here you can find the rudest Cockney Rejects songs with some The Clashs influences in some reggae riffs but without losing energy or sounding soft. This record was originally released under the Wonderful World label and now Beat Generation is more than proud to offer it again to the new punk movement and also for the people who never paid the attention their deserved.